Their big, enthusiastic smile will get you every time. 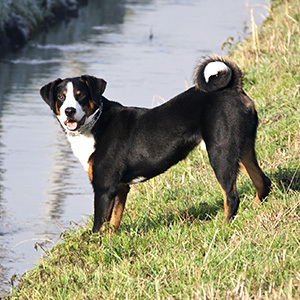 The Appenzell—a cross between the Roman Mastiff and Swiss working dogs—is a unique and historical breed. 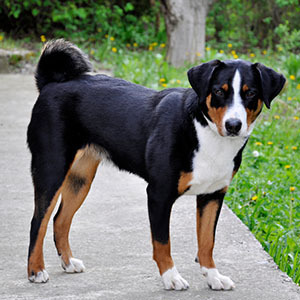 One of only four Sennenhund breeds in the Swiss Alps (Sennen meaning herding people) this breed is believed to have originated from the early Roman cattle dogs centuries ago. 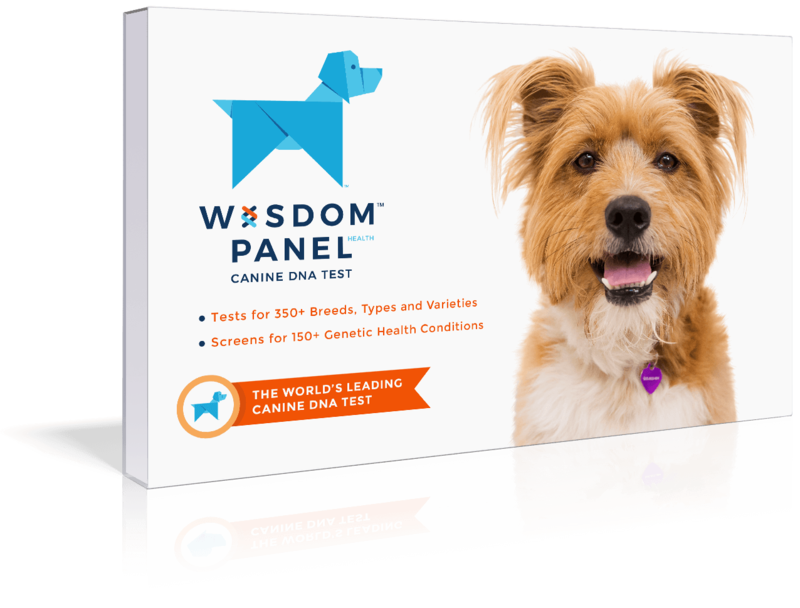 These lively and high-spirited dogs are extremely intelligent and very trainable. As their breeding would suggest they are known to make good watch dogs and are very reliable and hard working. 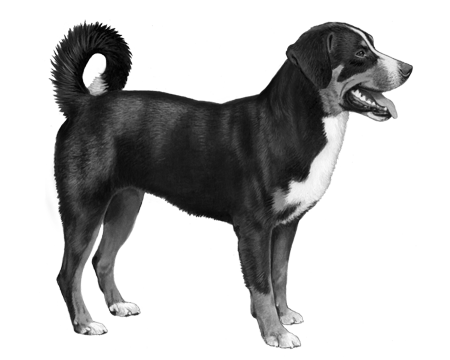 With a large to heavy build, the Appenzell Cattle Dog is muscular but not massive. 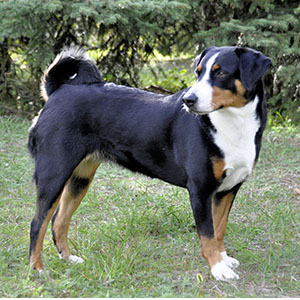 Much like the Swiss Mountain Dog, their tri-color coat has a black base with a shiny top and thick under coat. With sweet drop ears and their wedge-shaped head cocked to one side, their big, enthusiastic smile will get you every time. 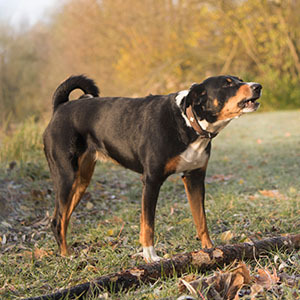 The Appenzell Cattle Dog’s tail is high set and tightly curled over the back when in motion, but you may see it hanging downward when they are at ease, or rest.